It’s a self-serve society we live in and people want their answers fast. Between running a quick Google search on the safest SUVs, asking “Alexa, what restaurants are nearby?” or “Siri, how do I cure a cold?” we find out what we want to know at our convenience. There’s no question about it—customers don’t want to be sold to, they want to find the answer themselves. Google and other search engines have adjusted their algorithms to this, devaluing non-authoritative information and adding fact check tags to search results. It’s time to adjust your content strategy. Did you know 90% of people only look at the first search engine result page (SERP)? And where you place on the first page matters, too. The second place result gets 4 times less clicks than the first place result. Paired with the need for educational over “salesy” content, how do you market to customers in this new world of SEO? Enter thought leadership and the creation of pillar pages. A pillar page is a long format educational page about a certain topic. The page is divided into subtopics that link to blog posts or other internal pages with more information, which in turn link back to the pillar page. This helps all of your content rank higher in SEO. Shortcuts take a viewer to specific sections within the long format page. Here’s an example of a pillar page created by MZ for Boelter Blue. 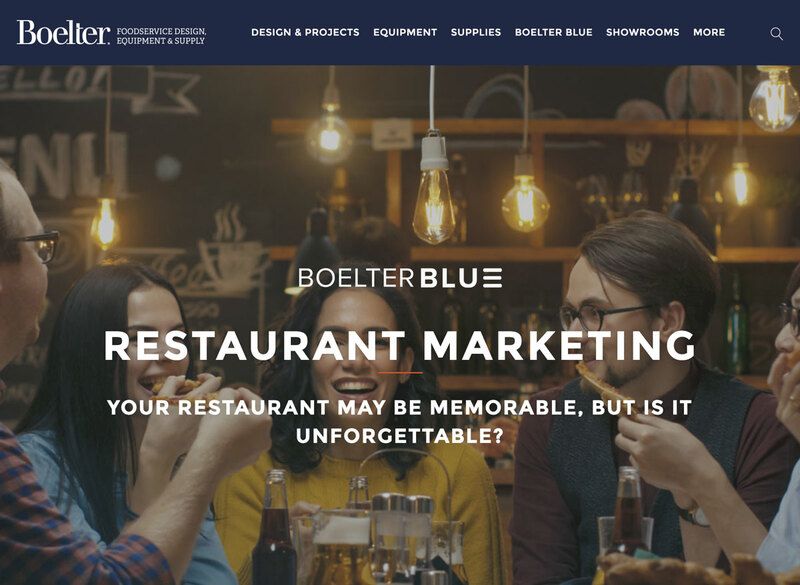 The topic is “Restaurant Marketing” and the page is divided into subtopics such as “building loyal customers” and “digital marketing." Each section contains a link to a blog post that expands on that topic. A pillar page should be educational, containing valuable content for your target audience and optimized for SEO so it attracts and generates leads while building your thought leadership. Creating a successful one takes careful thought and planning, but the results are well worth it. Here’s 5 steps for creating a successful pillar page. 1. Choose a topic based on research. What are common topics people are searching for within your industry? Think of your buyer persona's pain points, challenges and goals. Using keyword research tools such as SEMrush or Keywords Everywhere can be very helpful for finding popular searches and making sure your topic is optimized for SEO. Evaluate your website traffic analytics when choosing a topic as well. Is there a popular question on your FAQ page or a current website page that receives a lot of traffic? Browse your social media pages to find popular topics and questions your target audience wants answered. In the end, your topic should be broad enough to branch out into subtopics but not so broad that you aren't providing relevant and actionable information. 2. Create an outline of subtopics. After choosing a topic that’s optimized for SEO, it’s essential you continue to do the same for your subtopics. Comb through your blog and old pieces of content such as eBooks or whitepapers to see what can be repurposed. This will save you a lot of time when writing the pillar page. HubSpot’s SEO tool is great for developing a content strategy by creating topic clusters that ensure SEO and topic relevance are maximized. 3. Tailor copy to your buyer personas and SEO. When writing copy make sure it speaks to the language of your buyer personas. Think, what questions do they have and how will they search for a solution? 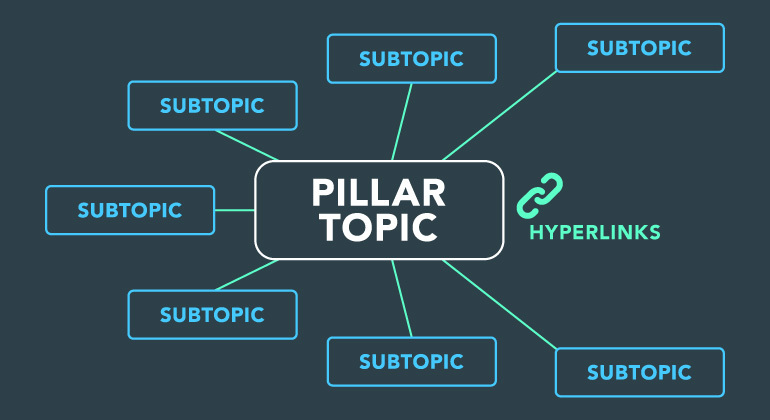 Also, remember your pillar page should provide an overview of your topic—not an exhaustive one. That’s the purpose of the blogs you link to. Each section should give information about the subtopic, and include a link to a blog that covers the discussion more in depth. This part is what helps you rank higher on SERPs. When writing copy, keep in mind you should also include external links to authoritative websites where appropriate. This helps build the credibility of your page, and increases the chances of other sites linking to your page, which greatly boosts your search engine ranking. Be sure to use headlines, subheads, visuals, and interactive content when appropriate to keep your page engaging and easy to read. 4. Link related blog posts to your pillar page. 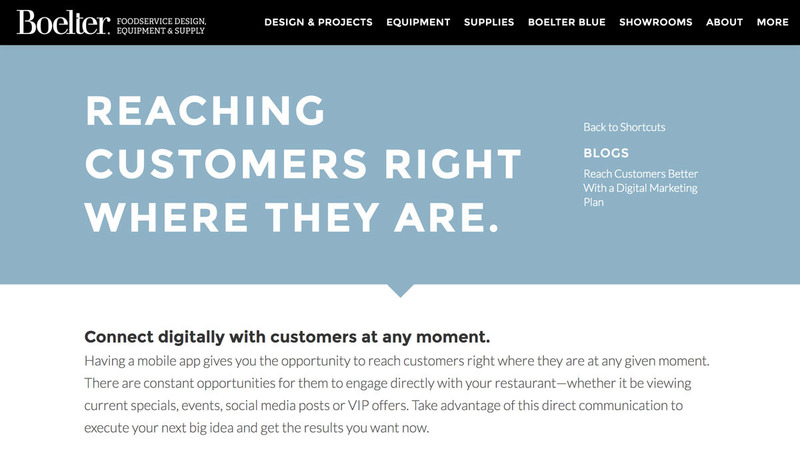 Lastly, create those all-important blog posts that link to your pillar page. However, not all posts have to be developed from scratch. If you used old blog posts to help write your pillar page, you can link to those or update them as necessary. And remember—the blog posts should be based on the specific keywords you decided on in your topic cluster. Trouble getting started? Here’s 10 tips for writing a successful blog post. 5. Publish, analyze and update along the way. After publishing your pillar page, it’s essential you monitor its performance. If you’re not hitting the goals you set try different strategies and edit the page as necessary. Whether that means adjusting your keyword strategy or adding a new valuable subtopic, your strategy should always be adjusting with SEO and updating as necessary. Following these pillar page steps and helpful tips will help ensure your content ranks higher on SERPs, getting customers to your site, leading to more sales and positioning you as the thought leader in your industry.